I’m looking for Rob Scuderi. 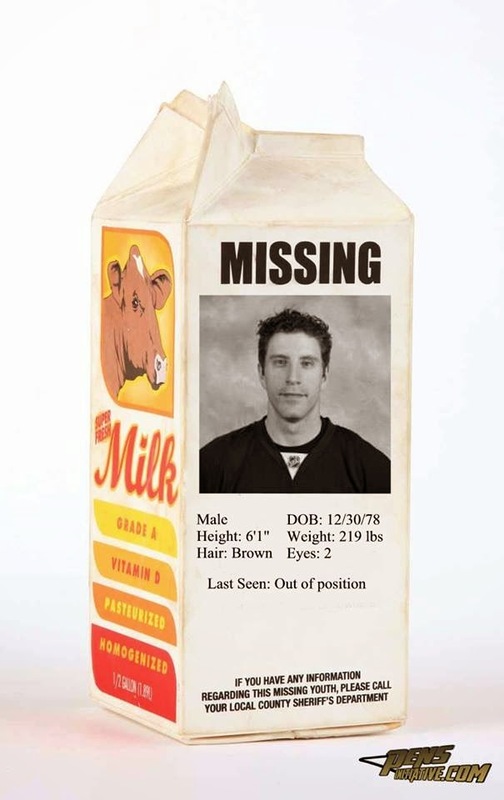 HAS ANYONE SEEN ROB SCUDERI?? There’s a guy wearing #4 for the Penguins who kinda looks like Scuds but if you watch him play, you know right away he’s an impostor. This guy stood next to the post Saturday night and watched a puck go in the net and was totally ineffective in the neutral zone. This #4 took minor penalties in 3 straight games. So, clearly not Scuderi. There was a time when you would have called Rob Scuderi the quintessential ‘stay at home’ defenseman. He was all about defense and played with a physical style that neutralized the opposing forwards. He, along with Brooks Orpik and Kris Letang, made the defensive corps of the 2009 Penguins so hard to play against. You likely know that Scuderi has a nick-name that was born out of an interview he did in which he misspoke. He meant to call himself “A piece (of the puzzle)” but instead called himself ”The Piece”. But he turned out to be "the piece" in Game 6 of that series when he made two crucial defensive plays to stop sure goals to preserve a 2-1 victory against the Detroit Red Wings and send the series to Game 7, which the Penguins would also win. It was so hard to see Scuds leave after the 2009 cup win. He wasn’t a flashy player, rather a consistent player with a good stick who understood his role and relished succeeding at it. Within weeks of winning the Cup in 2009, Scuderi hit the market as an unrestricted free agent as the Penguins couldn't make room for him under the salary cap. He became a member of the Los Angeles Kings by the end of the first day of free agency, signing a four-year deal worth $13.6 million. GM Dean Lombardi and assistant GM Ron Hextall of the Kings made it clear to Scuderi that they wanted exactly what he'd proved to be in Pittsburgh. Obviously Lombardi felt Scuderi's presence would be an important building block in constructing what he hoped would be a championship lineup. Scuds did his job well and was a good fit for the Kings. The King’s gamble on Scuderi paid off when they won the Cup in 2012. I could not have smiled wider when I heard the Pens signed Scuderi in the summer of 2013. In this fan’s mind, that meant Scuderi/Letang and Orpik/Martin on the blue line. Who could beat that defense? Who, indeed? It wasn’t another team that decimated that defensive line, it was something far more difficult to defend against; injuries. 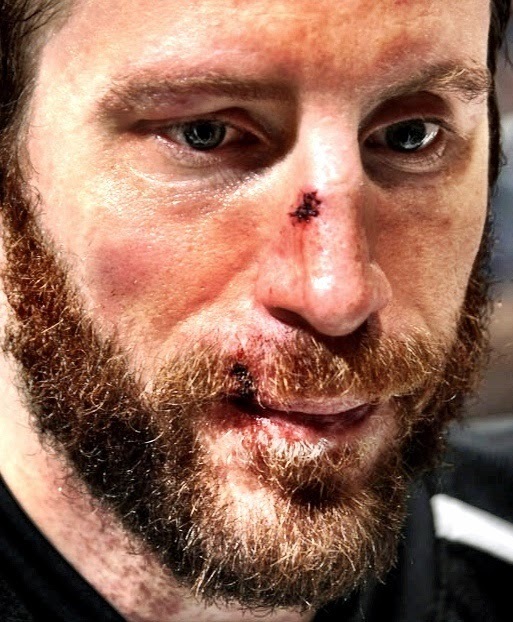 After not missing a single game since 2009-2010 season, Rob Scuderi was felled by a broken ankle last October before the season had barely gotten started. The stalwart, 35 year- old stay at home defenseman was sidelined until the end of December, 2013. Since the Olympic break, Scuderi’s play can best be described as flat. 35 year-olds don't just bounce back after broken bones. Since then, he hasn’t been hard to play against. In the opening game of the playoffs against Columbus, 20-year-old forward Boone Jenner, sent Scuds flying with a massive body check in the corner. Has he even been heard from since? So, if anyone sees Rob Scuderi, would you tell him I’d like to talk with him? Please talk with him Liz!! !